The Friends currently administer two Artist Awards, The Wakelin Award and The Sir Leslie Joseph Young Artist Award. 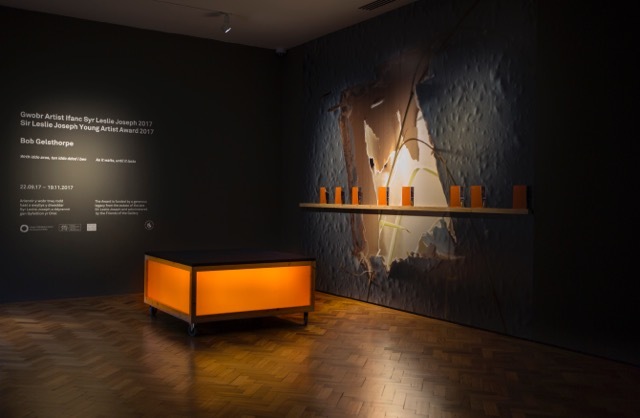 Formerly known as The Richard and Rosemary Wakelin Purchase Award, this award aims to assist Welsh artists of merit whose work is not yet well represented in public collections and to add works by such artists to the permanent collection of the Glynn Vivian Art Gallery. The Award is administered by the Friends of the Glynn Vivian and results in a work of fine art or craft being purchased for the collection annually. The winning work is also put on display at the Gallery. Both Richard and Rosemary Wakelin were artists, based in Swansea from the late 1950s and worked in an abstract Modernist style but possessed an appreciation of all forms of the visual arts. They worked through several organisations to further the visual arts, notably the Swansea Art Society, the Association for Artists and Designers in Wales (with whom they founded the Swansea Arts Workshop, now the Mission Gallery), the 74 Guild of Artist Craftsmen, the Welsh Group and the Friends of the Glynn Vivian. They were keen to help and encourage talented artists and crafts-people, especially those struggling for recognition, and to broaden appreciation of the arts in Swansea. The biennial award is funded by the Friends of the Glynn Vivian Art Gallery, from a generous bequest by the late Sir Leslie Joseph. It is open to young practising artists, graduate and post graduate art students who have received part of their education in Wales. It offers the winning artist an opportunity to stage their first solo exhibition in the Glynn Vivian Art Gallery. Its aim is to provide the winner with a helping hand at the start of their career. Entries are regularly received which embrace the whole spectrum of the Visual Arts such as painting, sculpture, printmaking, photography, video and installation.